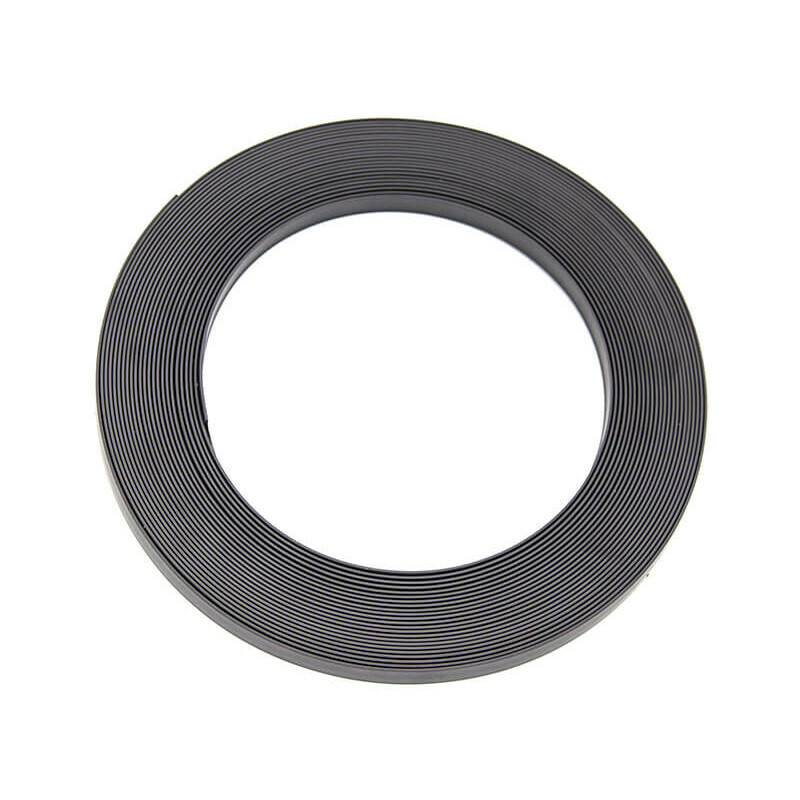 The Nylon coated pot magnets, are similar to the Neodymium pot magnets with rubber coating, they resist slippage and can be used thousands of times, without wear. Magnetic Drums in Stainless are widely used in the protection of machinery and suitable for the separation of metal parts. These magnetic filter bars are designed to separate small ferrous particles. This type of system may be included in any point of the processing or transport of a solid product or liquid flow. Recessed Magnet 16X16,4 Brown The recessed magnets are magnets from the family of magnetic closures made to insert them into holes made in the wood. They are introduced with some pressure so that it does not move. Locking Magnet - 32.5x11.5x12.5 - WhiteThe locking magnet - 84x10x13.5 can be found located in furniture and doors as it has an easy installation and holds elements such as doors and does not allow it to open or close involuntarily. Locking Magnet - 84x10x13.5 - BrownIt is a locking magnet - 84x10x13.5 - Brown that we will find in different applications and utilities in the furniture sector, holding closet doors or drawers. They are very easy to install and use. Adjustable Magnet 15,5x16,5 The adjustable magnet 15,5x16,5 is a magnetic product based on a plastic mold that shapes the magnet to improveits effectiveness at the time of application. Adjustable Magnet 30x29x20 Black The adjustable magnet 30x29x20 is a magnetic closure molded with plastic, to obtain different shapes for a better adaptation in your application. To fix it is necessary to use screws or nails. The Adjustable Magnet 30,5x29x19 are magnets with a plastic mold as a coating, creating very different magnet shapes.As a fastener it is necessary to use elements such as screws or nails. Locking magnet - 52x17x15,3 - Black Perfect application in office or home furniture, being very easy to use and apply. Locking Magnet 49,5x19,6x11 White This lock magnet can be used in furniture, providing greater firmness and support. It is very easy to apply and use it. Locking Magnet 60x16x15,3 Black We can install these locking magnets in locations inside furniture and get different applications in them. Locking Magnet 31x19x11,3 White They are magnets used to lock the doors of the furniture providing a better fixation and maintenance of the element. Locking magnet 45x19x12 - Brown There are different uses and applications for these magnets, especially in furniture, where they can be introduced very quickly. The easy installation of the Locking Magnet 45x14x13 in the furniture provides different applications and a simple way to use it. These Neodymium Magnetic Filters 9000 Gauss are suitable for the separation of small iron particles. They are specially adapted for the plastic and food industries. These Neodymium Magnetic Filters 7000 Gauss are suitable for the separation of small iron particles. They are specially adapted for the plastic and food industries. These Semi-Automatic Self Cleaning Magnetic Filters are used in any production process where contamination by metallic particles is abundant or simply a continuous cleaning is necessary. These magnetic filters for liquids are used for the filtration of iron particles in liquid products. They are also used very frequently in hydraulic circuits and cooling systems. Magnetic Filters with Rotating Bars is a magnetic separation system that has been developed to separate ferrous contaminating particles. This type of Ferrite Magnetic Plates P.E.F. are used for the extraction of metallic particles that circulate on a conveyor belt during the fall in vertical or on inclined channels, under ramps, etc. This type of Neodymium Magnetic Plates P.E.F. are used for the extraction of metallic particles that circulate on a conveyor belt during the fall in vertical or on inclined channels, under ramps, etc. Ferrite Magnetic Plates are designed to extract iron from those less contaminated materials, for the purification of products (especially food), for the protection of mills and, in general, of all types of machinery. Neodymium Magnetic Plates are designed to extract iron from those less contaminated materials, for the purification of products (especially food), for the protection of mills and, in general, of all types of machinery.